It’s been almost a full year, but next week The CW’s beloved zombie procedural, iZombie, returns! 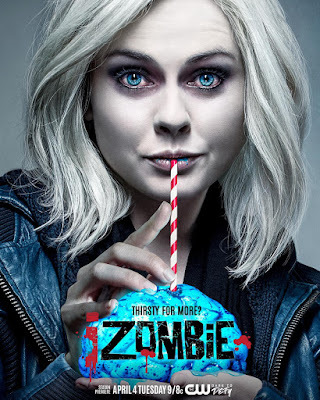 Based on the popular DC Comics comic book series of the same name, iZombie Season 3 is set to premiere next Tuesday, April 4th. But what The Blot really wants to know is why in the world The CW made us wait this long to find out what’s been going on with Liv Moore, Ravi, Major, Blaine and Babineaux all this time. iZombie airs Tuesday nights at 9/8c on The CW and stars Rose McIver as Liv Moore.